I love to create matching layette sets when designing items for babies. I love the idea of a cute dress with matching accessories. Today, I have the second installment for the Happy Hearts Baby Dress. I designed a Vintage Style Baby Bonnet. This sweet baby hat has similar ruffle detail as seen on the cap sleeves of the Happy Hearts Baby Dress. Using similar colors with this matching detail, this tiny bonnet is the perfect pairing for this sweet outfit. With more pieces to come, this is the perfect set to start now and add to as the pieces become available! This will make a wonderful gift! Add this bonnet with the Happy Hearts Baby Dress. Ch 4, Sl st to 1st ch to form ring. Rnd 2: Sl st into Ch 2 sp, Ch 3 (counts as DC), [DC, ch 2, 2 DC] in same sp, *Ch 2, [2DC, ch 2, 2 DC] in next ch 2 sp, repeat from * around, ending with ch 2, Sl st to ch 3 st.
Rnd 3: Sl st in sp between DC sts (see video tutorial for specific location), Ch 1, Puff st in same sp, *Ch 1, Puff st in Ch 2 sp, Ch 1, Puff st in sp between next 2 DC sts, Repeat from * around, ending with Puff st in last Ch 2 sp, ch 1, sl st to 1st puff st.
Row 7: Turn your work so you are looking at the WRONG SIDE, Sl st in sp between 2 DC grouping, Ch 1, Puff st in same sp, *Ch 1, Puff between next 2 DC grouping, repeat from * across, Fasten off, Turn your work, Change color. Row 14: Ch 1, SC in same st, * Ch 3, Sk 1 st, SC in next st, repeat from * 24 more times. Turn. Row 15: Sl st into 1st ch 3 sp, Ch 2, *[2HDC, ch 2, 2 HDC] in NEXT ch 3 sp, repeat from * across. Turn. Row 16: 6 HDC in 1st ch sp, *SC in gap between the HDC st groupings, 6 HDC in next ch 2 sp, repeat from * across, ending with SC in last ch 2 st. Fasten off. Weave ribbon across Row 12 of the bonnet. It has been quite a while, but I finally completed my latest infant fashion piece! My Happy Hearts Baby Dress is a lovely one piece cotton frock made with Red Heart Yarns Scrubby Smoothie. This lovely dress has tiny popcorn stitch detail on the skirt creating two stacked hearts. The simple ruffle creates a cap sleeve on the bodice. I added a tiny ribbon accent to complete the piece. Each detail was carefully thought out to create this wonderful project. Below is a view of the back of the dress. -This dress is 13 inches wide and 15 inches long but you can make it longer by watching the video tutorial for tips! Rnd 1: Ch 3 (counts as DC), DC in next 6 Chs, *3 DC in next ch, DC in next 14 chs, 3 DC in next ch, repeat from * 2 more times, DC in last 7 chs, sl st to ch 3 st.
Rnds 10-12: Ch 1, FPDC on each st around, sl st to first FPDC. Rnd 13: Ch 1, FPDC on 53 sts, BPDC on next 15 sts, FPDC on last 34 sts, sl st to first FPDC. Rnd 14: Ch 1, FPDC on 53 sts, HDC in next 3 sts, PC in next st, HDC in next st, PC in next st, HDC in next 3 sts, PC in next st, HDC in next st, PC in next st, HDC in 3 sts, FPDC on last 34 sts, sl st to first FPDC. Rnd 15: Ch 1, FPDC on 53 sts, HDC in next 2 sts, PC in next st, HDC in next 4 sts, PC in next st, HDC in next 4 sts, PC in next st, HDC in next 2 sts, FPDC on last 34 sts, sl st to first FPDC. Rnd 16: Ch 1, FPDC on 53 sts, HDC in next 3 sts, PC in next st, HDC in next 7 sts, PC in next st, HDC in next 3 sts, FPDC on last 34 sts, sl st to first FPDC. Rnd 17: Ch 1, FPDC on 53 sts, HDC in next 4 sts, PC in next st, HDC in next 5 sts, PC in next st, HDC in next 4 sts, FPDC on last 34 sts, sl st to first FPDC. Rnd 18: Ch 1, FPDC on 53 sts, HDC in next 5 sts, PC in next st, HDC in next 3 sts, PC in next st, HDC in next 5 sts, FPDC on last 34 sts, sl st to first FPDC. Rnd 19: Ch 1, FPDC on 53 sts, HDC in next 6 sts, PC in next st, HDC in next st, PC in next st, HDC in next 6 sts, FPDC on last 34 sts, sl st to first FPDC. Rnd 20: Ch 1, FPDC on 53 sts, HDC in next 7 sts, PC in next st, HDC in next 7 sts, FPDC on last 34 sts, sl st to first FPDC. Rnds 21-28: Repeat Rnds 13-20 once. Rnds 30-31: Ch 1, FPDC on each st around, sl st to first FPDC. Fasten off and change color. Rnd 32: With 2nd color, HDC in each st around. Sl st to first HDC. Attach yarn to last stitch on shoulder. See video tutorial for visual instructions. Row 1: [Ch 3, Sk 1 st, SC in next st] 11 times, turn. Row 2: Sl st into first Ch 3 sp, Ch 2, ([2HDC, Ch 2, 2HDC] in next Ch 3 sp) 9 times, HDC in last ch 3 sp, turn. Row 3: *6HDC in next Ch 2 sp, Sk 2 sts, SC in between stitches, Sk 2 sts, repeat from * across ending with 6 HDC in last ch 2 sp, Sl st in ch 2 st at the end of the row. Repeat the same concept for other sleeve. Add a ribbon around waist and have the ties in the back. When we get the opportunity to create something special for the pint-sized ones in our lives, and you have one of the cutest little guys on the planet here to model, you do what you can to make it all worthwhile! He even picked out a name for this latest creation! The Winter Winds Ski Hat! I used Deramores Chunky Yarn for this project, and it was absolutely divine! Soft, warm, and oh, so wonderful! The best combination anyone can ask for! 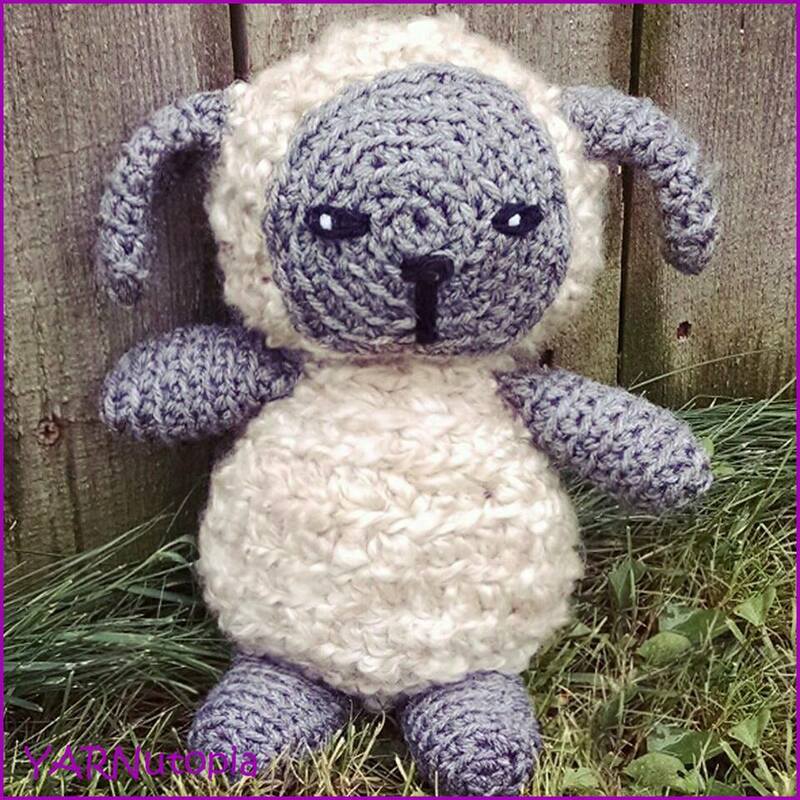 -I used Deramores yarn, but you can use any worsted weight or chunky yarn for your project. Cross-SC: Insert hook in next st, YO, Pull through, insert hook in previous stitch, YO, pull through, YO, Pull through all 3 loops on hook. Add Jade to any stitch around. At this point, do not fasten off, go on to making the first earflap. Skip 18 sts on row 16 of hat, attach yarn in next st.
HDC around entire hat to clean up the edges. Sl st to first HDC, and fasten off. Weave in all ends. Make a pom to go on top of the hat, make 2 tassels to attach to the bottom of each earflap. See photos/video for visual instructions. Up until I was 21 years old, I was a true daddy’s girl. Every hardship, illness, and setback my parents were there to help me through everything. As I grew and gained independence, I met a man and was engaged in a semi-arranged match. Initially, after finding approval by both sides of our families we decided to arrange our marriage. Unfortunately, this guy was not as forthright as I had anticipated and after a series of eye-opening events, I ended the engagement. Thankfully these revelations came before marriage, but it didn’t come without a huge price. During that trying time, my dad and I had a deep falling out, when looking back is a very raw and painful period. The entire situation was a dark and sad chapter. As more and more things came to light about this guy, I wasn’t sure what to believe. I chose to believe him over my dad who had the foresight to know after a few encounters, this person was not who we thought he was, and as the strict Pakistani father that he is, he gave me the ultimatum to end the engagement or I was going to be on my own without his support. I chose the guy, and with that decision, I closed the door on my dad and hurt him probably more than I ever thought possible. But I was a big girl, and I knew better, right? Wrong. I could not have been more wrong. But the damage from that decision was done and when all the chips fell and the engagement ended (my decision), he went back to teach in Jordan, I stayed in the USA, I was left to pick up the pieces of a terribly embarrassing and heartbreaking time. My parents separated and my mom came back with our family to take care of me in Wisconsin. The stress and anxiety of everything that happened took a toll on me and my illness attacked my body with a vengeance. My dad stayed in Texas dealing with his own obligations coming back and forth to spend time with us several times before deciding to finally stay. During that year following this episode it was extremely awkward and uncomfortable to face my dad. Gone were those days where I could call him Daddy and be at ease like I always was. He didn’t talk to me the same way, he didn’t act the same way toward me and most of the time I just felt like a complete disappointment even though I know I wasn’t. One act did not define my entire relationship with my dad. But it is difficult to describe what it is like to be a Pakistani daughter to a dad that once looked at you with pride and now all you saw in his eyes was hurt and disappointment. We both had a lot of work to do to repair this relationship, but one thing I have learned from my dad is to not be afraid of doing hard work. Even if we struggled in those early days, the love between father and daughter was always strong. Slowly but surely (and with so much encouragement from my mother and brothers and sister-in-law) my dad and I began to repair and recover from this difficult time. It happened gradually. Mending any relationship doesn’t happen overnight. Pretty soon we started joking again. Anyone who knows my dad, knows he is the master of the lame jokes. He isn’t funny AT ALL, but being not funny makes him so funny. He has this contagious laugh and when he laughs at his own bad jokes, you cannot help but laugh along too. Things became lighter, easier, and soon everything fell into place and we arrived where we needed to be. Now our relationship is stronger and better than ever. It has been 5 years since that fated time. In 5 years, so many changes have taken place in our lives and my dad and I have been through a lot. Together we built YARNutopia.com. We collaborated to bring our videos to a channel on YouTube. We both share the same work ethic and understanding on what it takes to build a dream into reality. We also have developed a deeper understanding as father and daughter. Although he is still a very strict, and a traditional Pakistani dad, he has loosened his grip and supports his children’s decisions and choices even if we don’t always see eye to eye. This understanding has led to a better relationship between us. Now that I am facing my future with Nate, I am grateful that this growth and understanding between my dad and me has allowed him to accept and love Nate so much, accept my decisions that are somewhat less than traditional, and support us as much as he has! Growing up between two cultures is a difficult challenge, and unless you have gone through it, most won’t understand. Together my dad and I have been working on finding an easy median. I think we have found that common ground. I am happy to say that all the difficulties of the past are gone and that having gone through it has made us stronger! Yarn really can help stitch together relationships! Today, through all the ups and downs, we have arrived in a better place. With hard work, our loving and supportive family, better respecting one another, and the unending love between a daddy and his baby girl. On this Father’s Day, there is so much I want to tell my dad. How can I put into words to express what all he means to me? How many times I wish I would have listened, how many times I needed him and he was there no matter what? How much I love him? I don’t think there are words to express that gratitude that exist in any language. Thank you for loving me through all the good and the bad times. Thank you for being as loving and protective as you are. Even if I rebel against it, I realize you only have my best interest at heart. Thank you for encouraging me to build YARNutopia and always being here to make our amazing videos. Thank you for it all. I would not be who I am without you by my side. A simple I love you doesn’t seem to be enough, but I will say it anyway. I love you, Daddy. So please help join me in wishing my daddy and all the other great dads, step-dads, granddads, moms who fill the role of dads, foster dads, and anyone who is there for a child, Happy Father’s Day! This infant pullover hoodie is a very versatile piece for any baby layette. This simple, essential part of a baby boy wardrobe can be used in a variety of ways, making it one of the most well used items you will ever create. Whether it is a cool summer night and you need a little cover-up to guard from the chill, or layered on a winter day to feel like they are wrapped up in warmth, this little hoodie can be used all year round. There are not many items which can be that multi-functional. Using the softest fibers, I have created this basic piece that can be adapted to be gender friendly for a little boy or girl. You can get creative and add your own adaptations of this pattern by putting on a pocket or applique. The sky’s the limit with creativity of this great pullover! -To make this smaller or bigger, use a smaller or bigger hook size. I do not have the stitch numbers for larger sizes. -This Sweater will fit a child up to 9-10 months. It is quite stretchy. -Final dimensions: Length (shoulder to bottom): 12 Inches, Sleeve Length: 10 Inches, Waist: 17 Inches Circumference. -This can be made longer or shorter by repeating the rounds. Fasten off after round 18. Fasten off after round 11. Weave in ends. Repeat the same for the 2nd sleeve.